On May 29, 2019, at 6:30 pm. 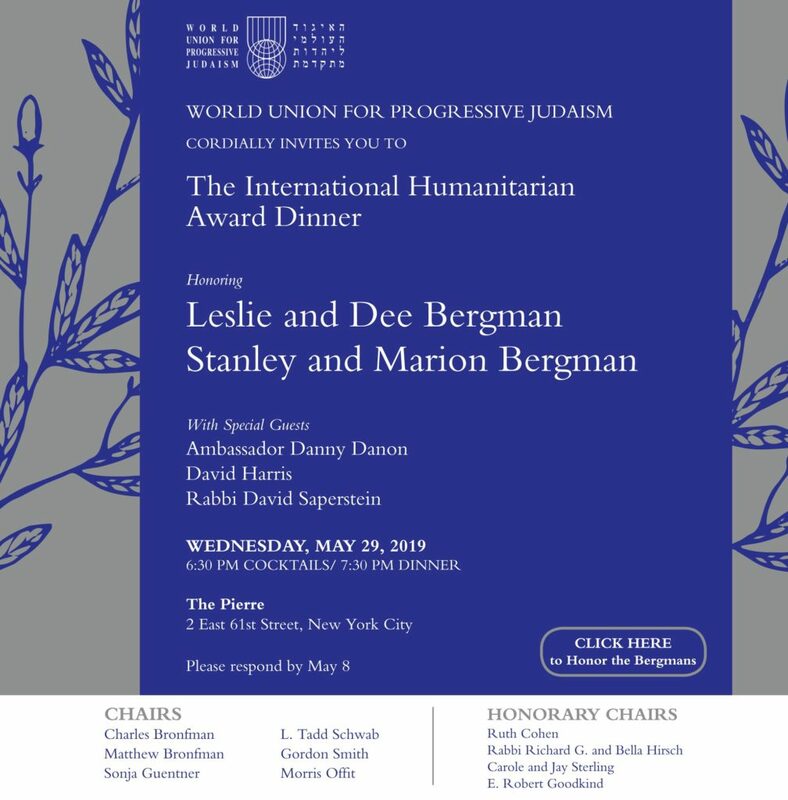 Register to join us and honor the Bergmans, click here. Please fill out this form to share "International Humanitarian Award Dinner" via e-mail.